Lucknow, Nov 9:Demanding an unconditional apology by the BJP and Prime Minister Narendra Modi from the masses for the unsuccessful of the demonetization, Bahujan Samaj Party (BSP) president Mayawati has claimed that the demonetization, which was done two years back, did not yield any good result as claimed by the Centre and the BJP. ” Demonetization, had brought miseries for the people of the country and it turned out to be a fake claim of the Centre like they did during the 2014 elections by promising Rs 15 lakhs to the people from the black money to be brought from outside the country,” she said while alleging that demonetization by the government also proved their incompetency, inexperience and childish way of functioning which led to the economic emergency in the country. ” What happened about the promise of Acche Din by PM Modi and likewise demonetization too fell flat on the claim of the PM that it will end corruption. But what has happened everyone knows,” she said. 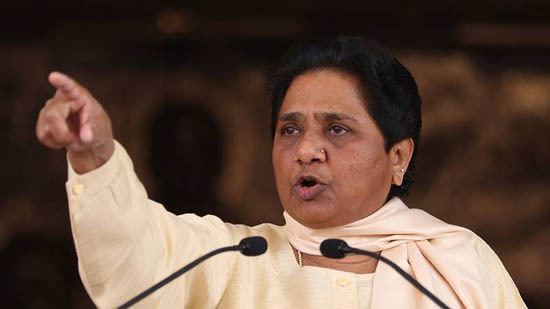 In a statement here on Friday, on the second anniversary of demonetization, Ms Mayawati said that PM Modi and other leaders of the BJP should seek an apology from the people for throwing the country in turmoil by their attitude and actions. The BSP president also asked the Center as well as the BJP not to involve themselves in fighting with the Constitutional bodies. ” The Central government attitude towards the Constitutional bodies are very biased and it would only weaken the democratic system in the country,” she said.